In July 2018, in order to improve the enterprise image and credit management level of Guizhou province, the Guizhou Province Development & Reform Commission (GPDRC) launched the evaluation program of 2nd session of “Demonstration enterprise of integrity in Guizhou”. 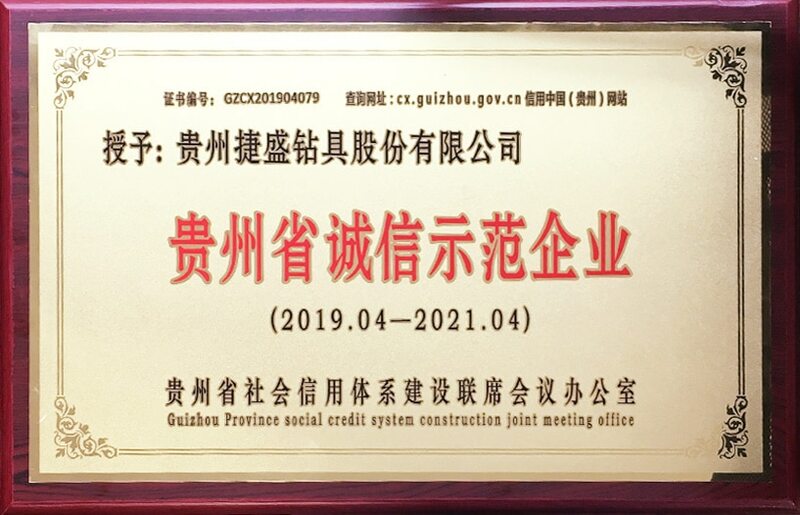 As the evaluation program had finished, the GPDRC published the final list of demonstration enterprises on the official website on April 8th—there are totally 159 of enterprises on it. And then, the GPDRC hold a grand award ceremony with Guiyang People’s Government on April 10th. 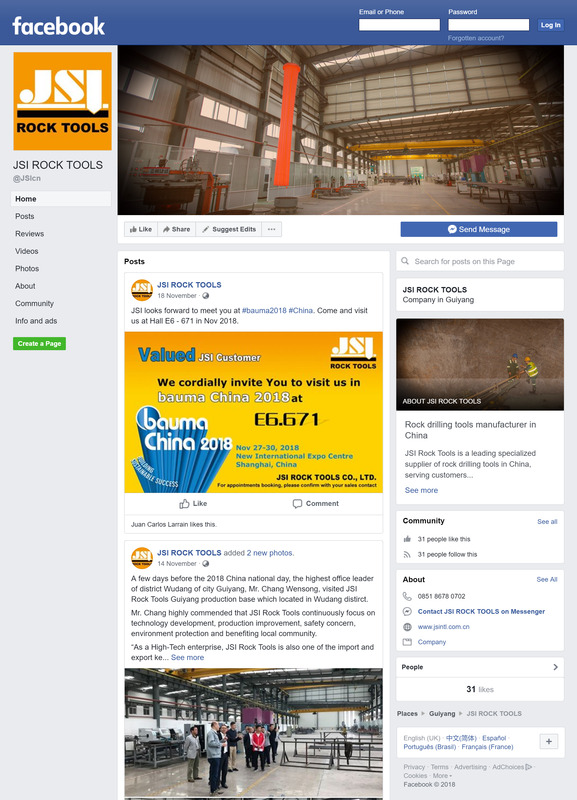 In this evaluation, JSI Rock Tools was successfully selected as one of the model integrity enterprises by commendable credit score and record and comprehensive strength. According to the official report, there are nearly 1000 of state-owned and private enterprises applied for the evaluation activity, and the evaluation program strictly accord with the enterprise self-recommendation, territorial recommendation, pre-examination of provincial social organizations, the credit score of third-party credit service, the provincial social credit system construction joint conference office examination and approval, the media publicity and other necessary procedures. 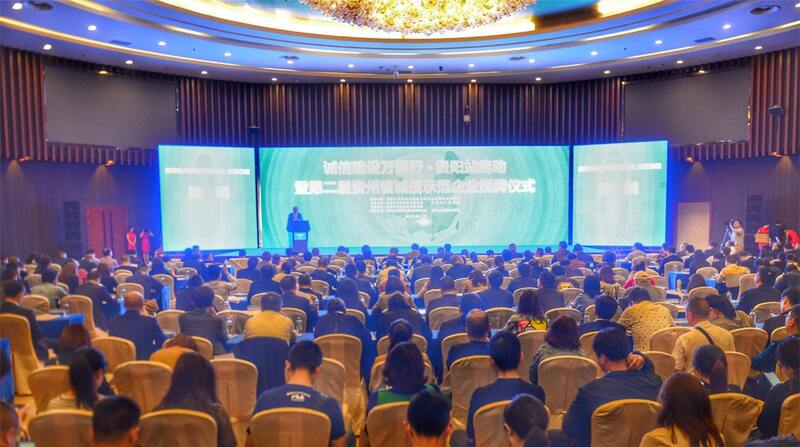 The selected demonstration integrity enterprises will be recorded in the “red list” which can be recorded on the National Credit Information Sharing Platform (Guizhou), that means they can enjoy preferential treatment on human resources management and business administration services from some government departments.